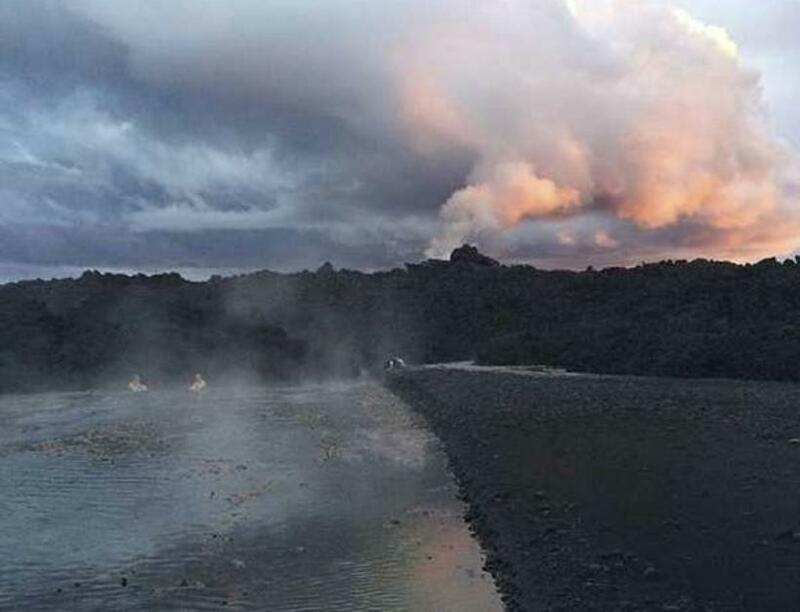 A new hot stream has formed at the far eastern end of Holuhraun, the scene of Iceland’s most recent major volcanic eruption (August 2014-February 2015). Rangers at Vatnajökull National Park recently discovered that the stream is a suitable temperature to bathe in – just under 40°C at its hottest point. It is not yet clear whether the water temperature will rise or fall in the future. Despite the fact that the new stream is not particularly accessible, a number of Icelandic and foreign tourists – and rangers – have visited the area to bathe. Ranger Stef­an­ía Vign­is­dótt­ir points out that the effect of the water on human health has yet to be assessed and that people bathe in the new stream at their own risk.